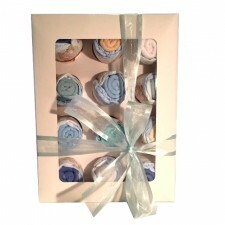 A happy and practical gift to welcome the newborn baby. 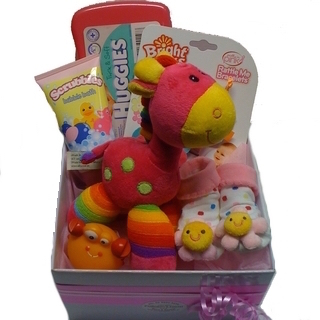 This gift box includes, an adorable bright Giraffe soft toy, Bright Stars, baby toy, Baby wipes, Bath toy, Baby bath and Cute little baby socks. 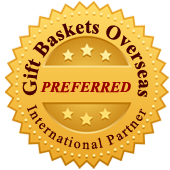 Available to suit Boy or Girl – mention in our ‘special instructions’ if it is for a boy. Please Note: There is no option for express delivery on this item.